Last week, I attended a conference where several C-level people spoke. One of the common themes was training and the need for talented people. I have also heard several times in the last few years that International Paper (which employs 65,000) is expecting 50% of their workforce to retire in the next 10 years. In an effort to change some of these trends, Green Bay Packaging spent US$2 million in 2009 to open an Area Career and Technical Center for training existing employees for future opportunities and for those wishing to join Green Bay Packaging. This means there are many opportunities for people currently in the workforce and those looking for a career. However, training is not just a one-time experience. These discussions reminded me of the importance of ongoing training. Many times we are exposed to certain applications or areas of knowledge an lose some of it (or ALL of it) over time when we don't come across that opportunity for a while. In other cases, we just don't know what we don't know. 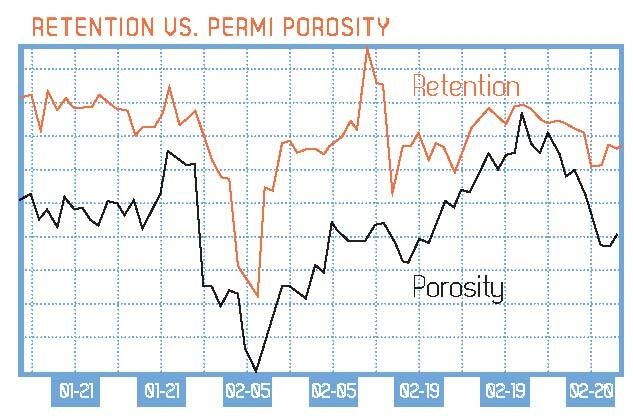 How Can Formation, Retention and Coating Quality be Analyzed More Quickly? 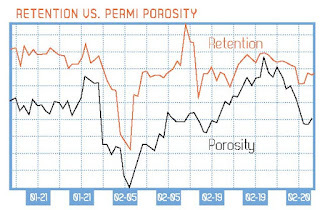 In 2007, a presentation at APPITA (technical association serving the Australian and New Zealand Pulp and Paper Industry) 60th anniversary conference in Gold Coast, Australia expressed how using online porosity measurements could lead to quick information resulting in better quality and runnability. Since then, nearly 200 units have been installed, looking at applications like these. These are all relationships that are evaluated on laboratory equipment, however, having this information real-time, allows for quicker adjustments and fewer rejects. Again, seeing the information faster, allows for adjustments to the process and better overall quality and runnability. 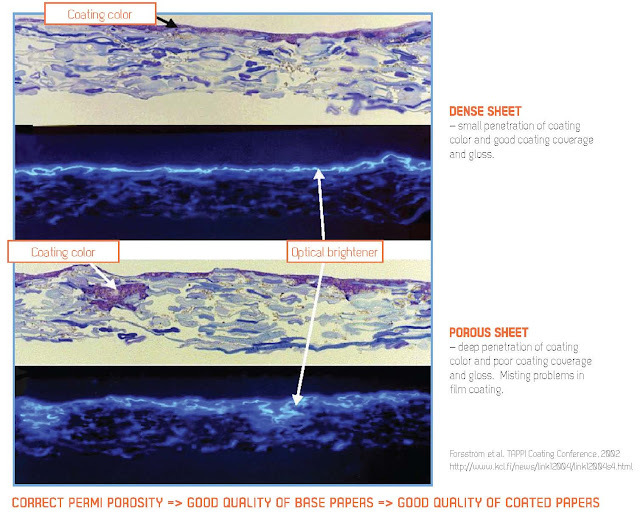 In the coating or application of OBA, a less porous sheet gives more "hold-out", meaning that a high percentage of the coating or OBA remains on the surface rather than penetrating below the surface pores. This results in better surface and optical properties for a given coat-weight or OBA-weight application. It is with great excitement to announce Technidyne's 2015 Agent of the Year winner is Jiu Mao in Shanghai, China. Max Liu at Jiu Mao was notified that he is the winner of this award which has become an annual prize. We recognize that Jiu Mao under Mr. Liu's leadership has successfully sold equipment, provided service and calibration standards. 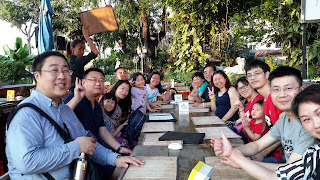 Jiu Mao also sent 3 people for training in the US in August 2015 to the Technidyne International Sales Meeting. All of this makes Jiu Mao a great example of what Technidyne is looking for as an agent. Congratulations to Mr. Liu and his team and good luck to all of Technidyne's Agents as they move forward in 2016. If two optical instruments are calibrated with the same standards they must agree, right? Unfortunately, the answer is "no". 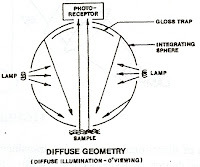 In order for two optical instruments to agree, regardless of the material being measured, they must be identical in geometry, photometry, and spectral response. Instrument geometry includes things such as size and shape of viewed sample area, size and shape of sample illuminated area, cone angles, distances between elements, lenses, filters, stops, etc. In the Paper Industry these items are typically defined in the appropriate ISO, TAPPI or other standard. However, there are instances where some elements of geometry are not well defined and one manufacturer may treat things different than another. Also, diffuse geometry can mean different things. 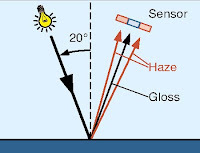 As an example, one instrument may have diffuse illumination and 0° viewing and another may have diffuse illumination and 8° viewing. 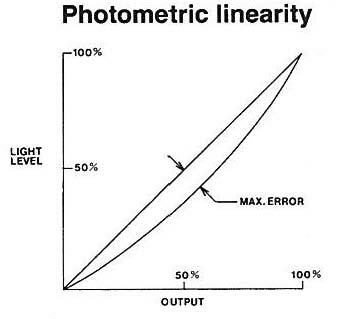 Instrument photometry can best be described as the linearity of a measuring instrument's response to light. Fig. 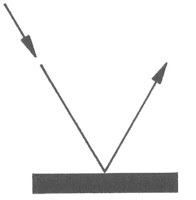 1, below, shows that an instrument with perfect photometric linearity will double its reading when the amount of light striking the photoreceptor is doubled. 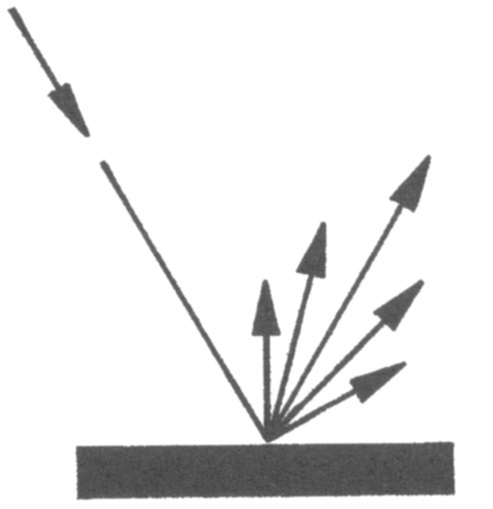 Many optical instruments only offer calibration standards for a one-point calibration. However, it is good to have at least a two-point calibration (zero and some other point in the measurement range) or a calibration and then verification standards that can be used to confirm linearity over the measurement range of the instrument. Generally speaking, it is the responsibility of the instrument manufacturer to insure photometric linearity, but there should at least be ways to check this. Fig. 1 - Double the reading when amount of light striking photoreceptor is doubled. 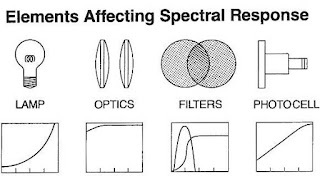 Instrument spectral response is the ability to light as a function of the wavelength of the signal. In basic terms, does the instrument accurately measure with respect to wavelength e.g. 50% at 500 nm should be the same on all instruments. Fig. 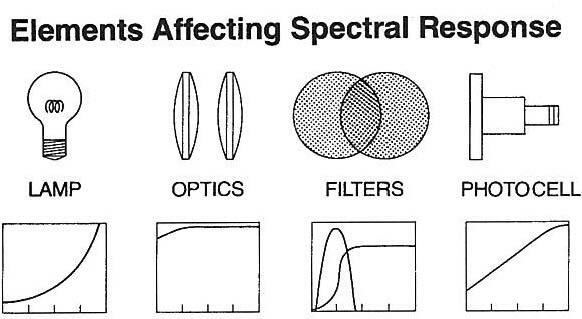 2, below, shows some basic optical elements that can affect spectral response. Spectral response is normally set by the manufacturer. However, it can be affected if any of the elements in Fig. 2 are changed. Therefore, extreme caution should be taken when changing any of these elements and the instruction manual or manufacturer should be referenced. If data is being compared to other labs, facilities or over time, it is important to understand if the same make and/or model of instrument is being used to ensure geometric compatibility. Likewise, instruments even of the same make and model will not agree if the photometry and spectral response are not correct. There are some calibration materials that can be used to check these parameters, but often the manufacturer may have to be involved if it is suspected that geometry, photometry or spectral response is incorrect. 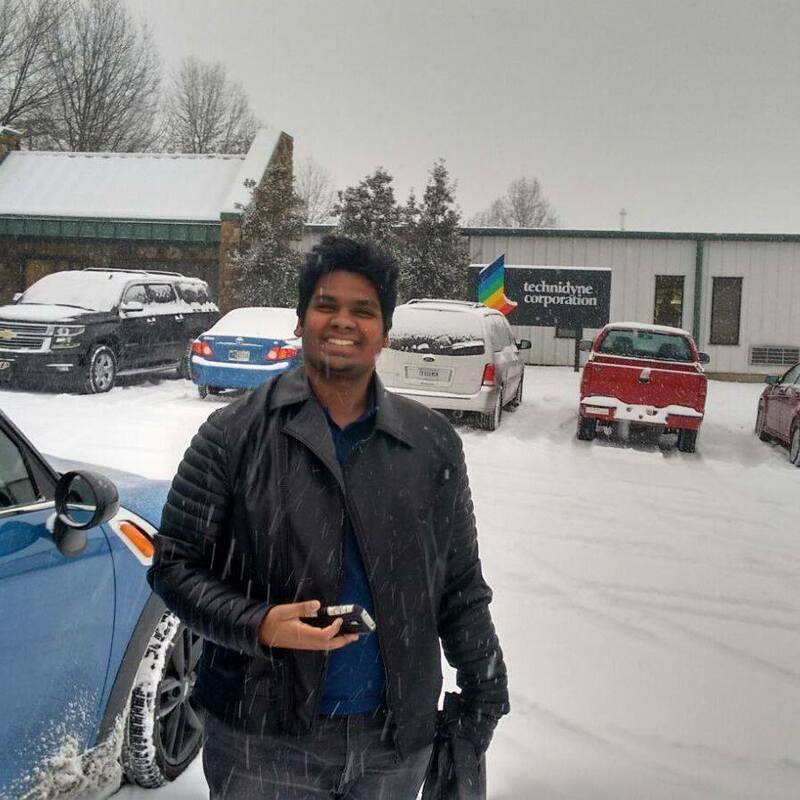 Ketan Maurya of Polytech Instruments, Technidyne's exclusive sales and service agent in India, was in for updated training for two weeks in January. 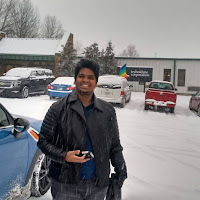 Ketan received the latest training techniques on classic Technidyne instruments like the Micro TB-1C, Color Touch™ 2, and Color Touch™ PC. He also received information and training on the PROFILE/Plus™, Color Touch™ X and TEST/Plus™ products. He also received information and training on several new products that will be released to the Pulp and Paper Industry in the coming months. Technidyne has used Polytech Instruments and principal, Mr. Jagdish Maurya, as its exclusive agent since 2014. Polytech Instruments offers high quality testing equipment from around the world as well as technical support and complete after-sales services Polytech is a provider of calibration materials for optical tests (via Technidyne). In keeping with its growth plans, the company has spanned its presence across India by venturing into the Metropolitan cities of Bangalore, Delhi and Kolkata, entrenching itself through its efficiency and discipline. The company has a highly effective sales and after-sales infrastructure to cater to clients from across India with dedicated managers in the South, North, East, and West Zone optimizing operations and ensuring maximizing results. Gloss Calibration: Are gloss tiles enough? The new TEST/Plus Gloss instrument is available in the market. There are many Technidyne T480 instruments, old Hunter, BYK Gardner and other glossmeters. 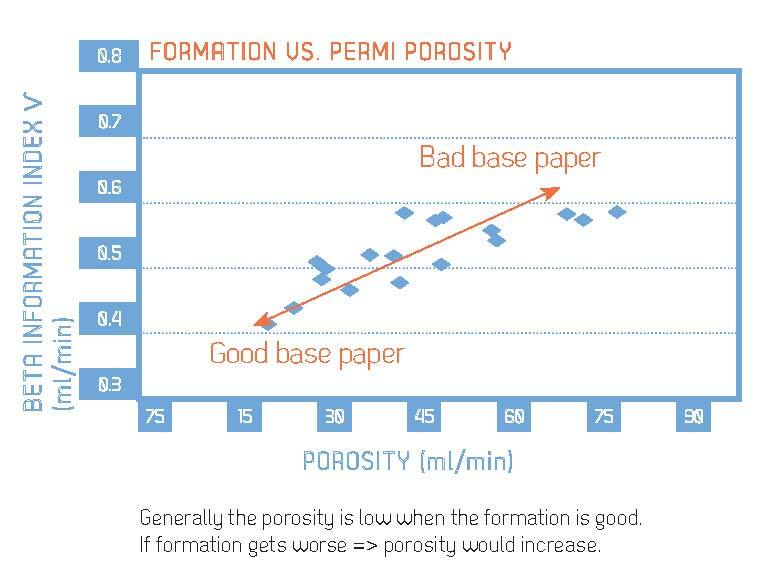 One question that is often asked, do I really need paper calibration standards since I have gloss tile standards? For the 75° glossmeter to be properly calibrated, it must be capable of measuring both the gloss tiles according to the assigned values and paper standards. The paper standards are used to adjust the iris in the optics to the correct diameter. 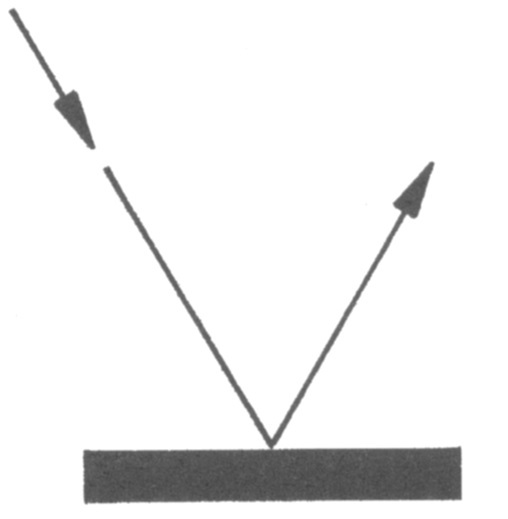 Gloss tiles are a more uniform material and much easier to calibrate due to the highly spectral reflectance (Fig. 1). 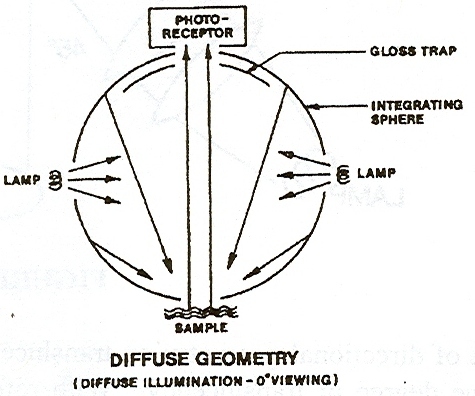 Paper has spectral but also diffuse reflectance (Fig. 2). Therefore, the result is mixed reflectance. If only a tile were used for calibration, the iris (sensor in Fig. 3) could be opened too large or closed too small and the instrument would still calibrate. However, if a non-specular sample was then measured, like paper, the instrument would be measuring more than the appropriate gloss if the iris were opened too large. It would include haze. The instrument would not measure enough of the specular (gloss) reflectance if the iris were closed too small. In either case, the instrument would not conform to the appropriate 75° gloss standard e.g. TAPPI T480, ISO 8254-1, etc. 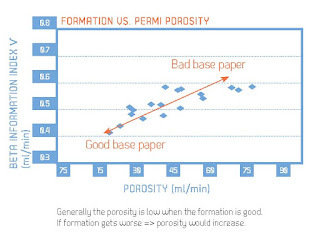 It is for this reason that paper calibration methods are available for people that will measure them. 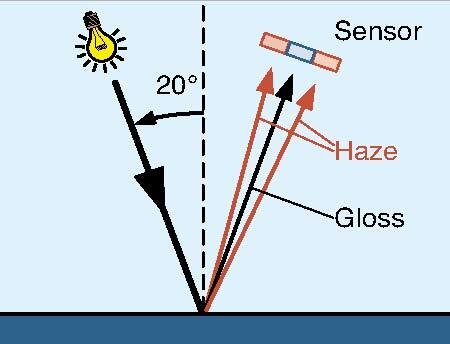 If the glossmeter were only used to measure highly specular tiles, then the use of only a gloss tile would be an acceptable method for calibration. This is the case with the 20° geometry. Geometry, lamp position, chromatic output, focus and iris are all factors that are checked during the production of good gloss instruments. These properties are also checked during on-site preventative maintenance visits.